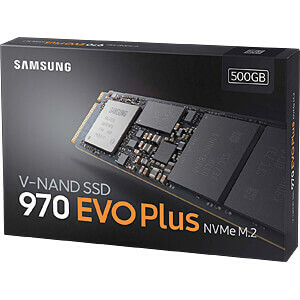 An outstanding SSD This increases high performance even further. 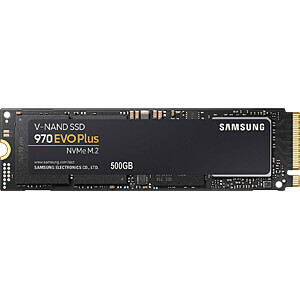 Equipped with the latest V-NAND technology, the 970 EVO Plus is even faster than the 970 EVO and also features firmware optimisation. 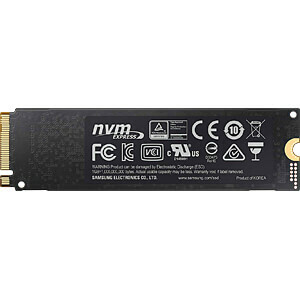 It thus fully exploits the potential of the PCIe interface and the NVMe protocol for even faster access times. 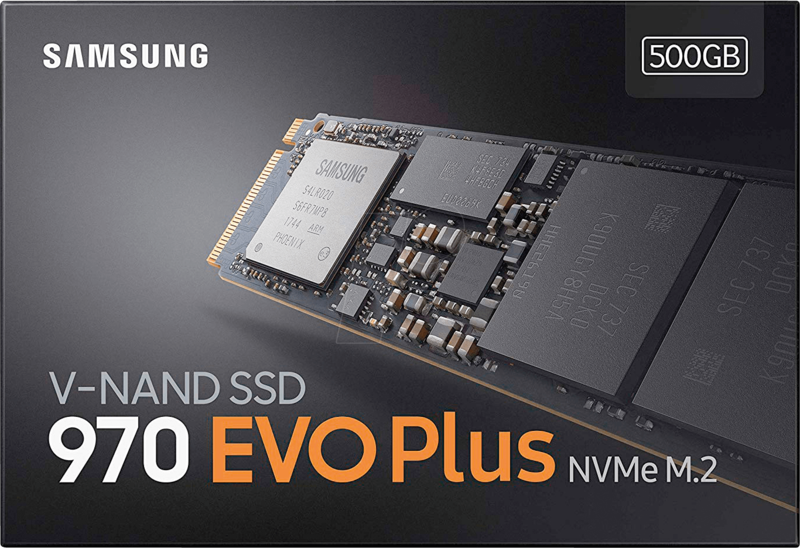 Performance at the next level With up to 3,500 MB/s read and up to 3,300 MB/s write speeds, the 970 EVO Plus is up to 53% faster than its predecessor, the 970 EVO. 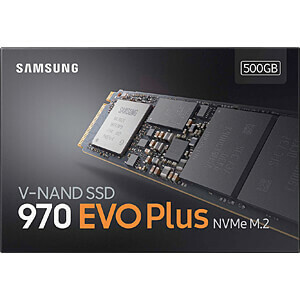 The latest generation of V-NAND technology provides outstanding performance and improved energy efficiency. 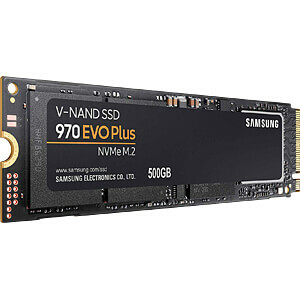 In addition, the 970 EVO Plus features optimized firmware, the proven Phoenix controller and Intelligent TurboWrite technology for accelerating write operations. 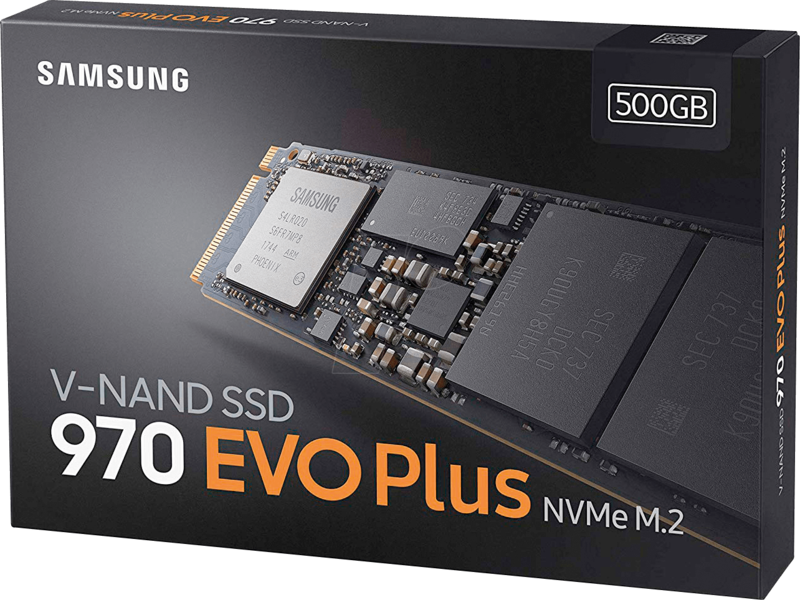 The 970 EVO Plus shows the evolution of NVMe SSDs. In addition to high performance, it offers a storage capacity of up to 2 TB storage capacity in the compact M.2 form factor (2280). It thus offers a lot of storage space with small dimensions and saves valuable space for other components. Innovative Samsung technologies allow you to have the freedom you need to achieve much and more. Unconditional reliability Have even more faith. 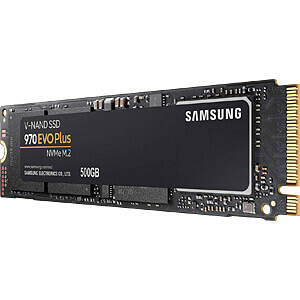 The proven Samsung Phoenix controller is covered with a layer of nickel and the 970 EVO Plus drive module is equipped with a thin heat spreader, so that the heat generated during operation is effectively dissipated. In addition, the Dynamic Thermal Guard function constantly monitors the drive so that optimum operating temperatures are maintained and performance can be kept constant.